This topic contains 4 replies, has 3 voices, and was last updated by Darkest Star Games 4 months, 1 week ago. Not too shabby at all mate. What scale are IA? They look about 28mm? I’m wondering whether it’s easier to paint bigger models. My eyes aren’t as good these days. Nice colour scheme on the dragon. I prefer more muted colours on dragons as opposed to the classic red. I would say they are 28mm but niether want to upset purists nor can I be bothered to measure or research. 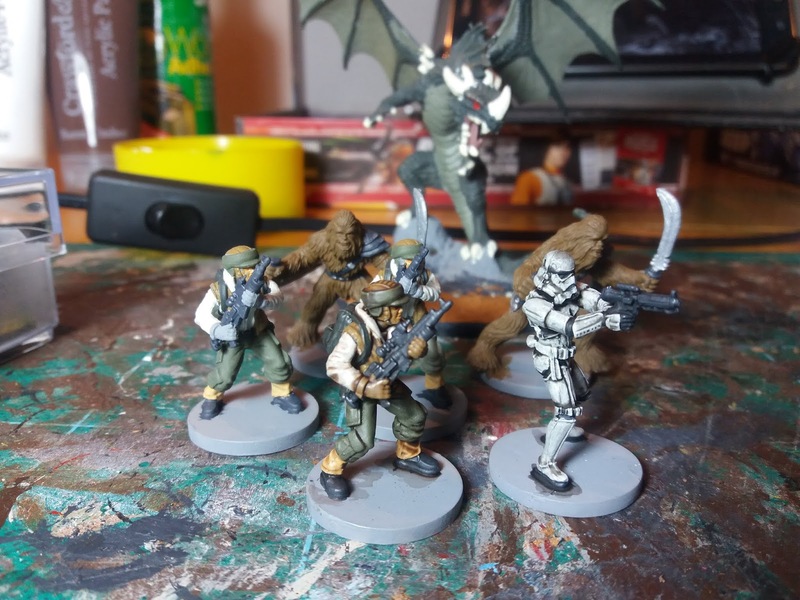 They can be easier to paint, for sure, but then the temptation is to add increasingly more details which then increases how complex they are to paint again. As for the dragon, I didn’t want something from a children’s book so went for the green. Inspired by Skyrim I guess. Here we go. 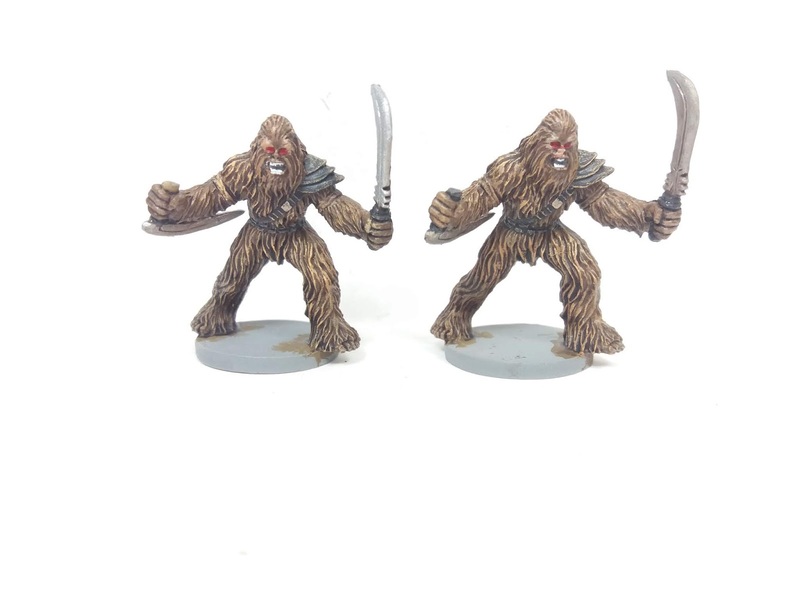 Some wookiees. Blazzing read eyes, yikes! I wouldn’t want to be in their way at all!